Includes one rose made of news print. 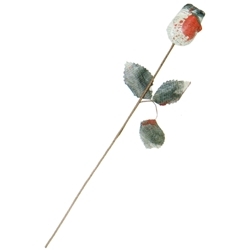 The rose measures 18" long and has black leaves and a blood spatter effect. The bloody newsprint rose can give your haunted house, Halloween decorations, or dead bride costume a unique look.